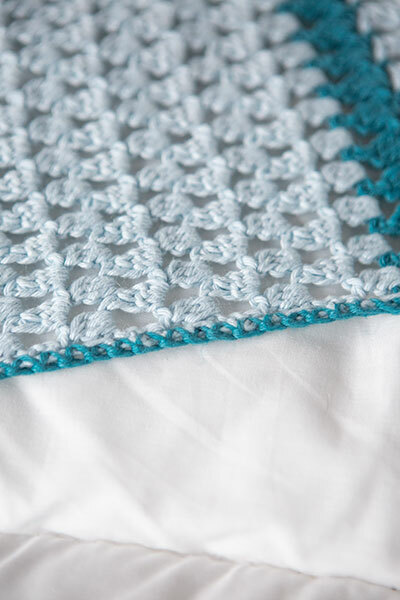 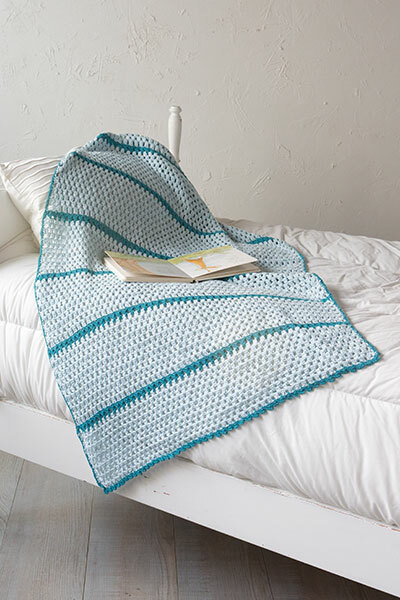 Sizes Included: 30" x 48"
Two types of cluster stitches in two colors create a baby blanket as sweet as candy for a little one. 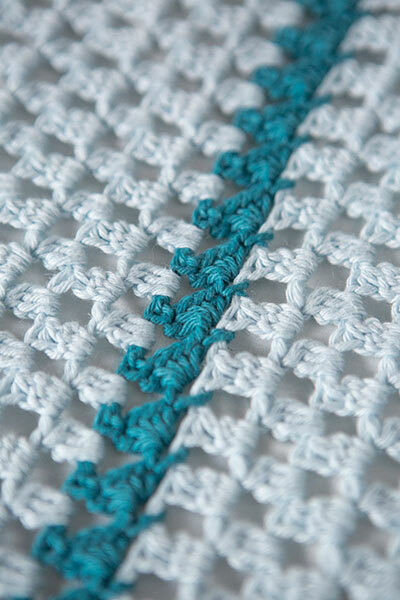 The main color has marshmallow shaped stitches with little-peaked threads of contrasting color running through it like ribbons. 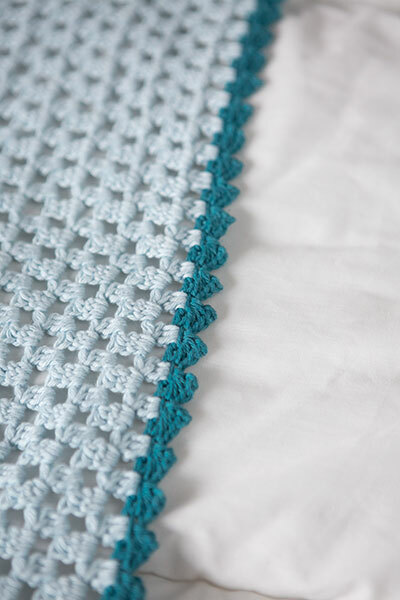 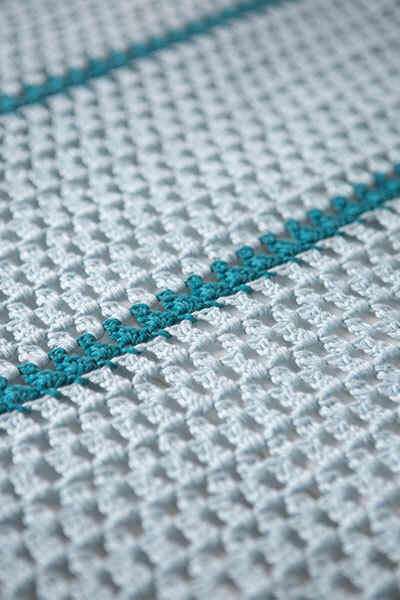 The contrasting color also creates the finished edge for each short end, so minimal edging is necessary, and it only uses a few stitches but with maximum appeal.